While you enjoy your summer vacation, let your kids learn something new! 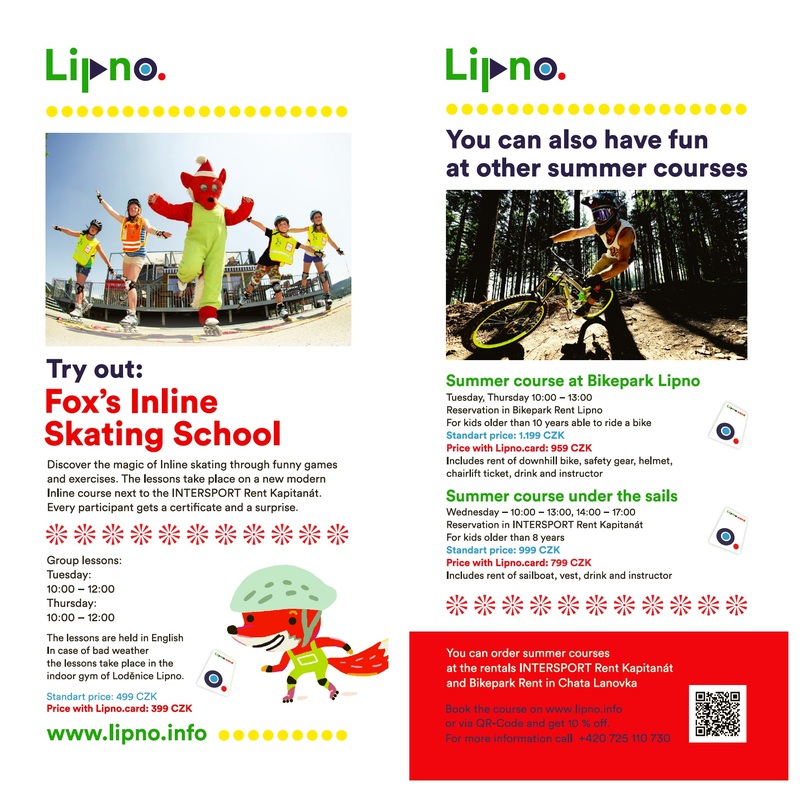 Get a 20 % discount with the Lipno.card you receive from us! Book here on-line.